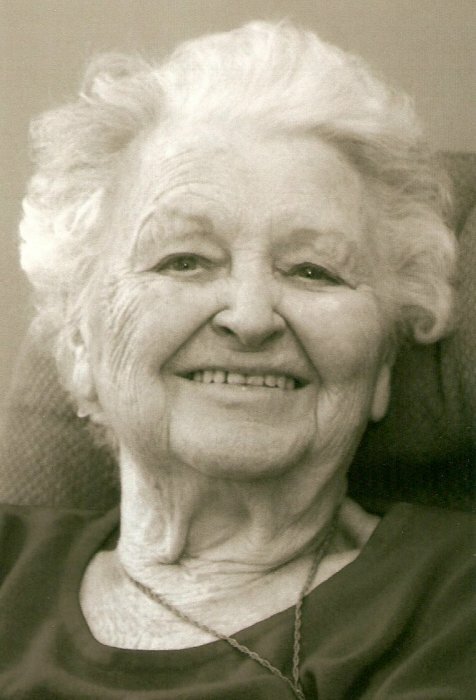 Obituary for Clemency (Horn) Meyer | McCombs Funeral Home Inc.
Clemency Meyer, 93, of Jackson, passed away Wednesday, March 27, 2019, at the Monticello House in Jackson. An only child, Clemency was born June 8, 1925, in Cape Girardeau, to Donald and Mattie McClendon Horn. She and 1st Sgt, Carlton G. “Cotton” Meyer were married April 22, 1944, in Wisconsin. Three children were born to their union. They had been married nearly 61 years when Carlton passed away January 28, 2005. Clemency’s memberships included St. Paul Lutheran Church, Kimbeland Country Club, and the American Legion Auxiliary, all in Jackson. She enjoyed golfing and playing Bridge. Cotton always had a busy slate of civic commitments and she supported him wholeheartedly. Loving survivors include three children, Carla Moore of Knoxville, Tennessee and Charles and Craig Meyer of Jackson; six grandchildren, Carmen (Brad) Simpher of Townsend, Tennessee, Michelle (Kevin) Clayton and Jayson Moore of Knoxville, Chad Meyer of St. Louis, Adam (Sara) Meyer and Cody Meyer, of Jackson; seven great-grandchildren, Brandon (Brittany) Simpher, Cassie and Brody Simpher, Ella Clayton, Bentley, Grant, and Adalyn Meyer; a step-granddaughter, Abbygale Becraft of St. Louis (Craig’s step-daughter); a step-great-grandson, Braxton Pettitt (Craig’s step-grandson); a great-great-grandson, Shiloh Simpher; and her dear caregiver, Helen Gwin of Jackson. She was preceded in death by her husband, Cotton Meyer; and a step-granddaughter, Bethanie Kaiser (Craig’s step-daughter). Visitation is from noon to service time, Thursday, April 4, 2019, at McCombs Funeral Home and Cremation Center in Jackson. The funeral is at 2 p.m., Thursday, April 4, 2019, at the funeral home, with the Rev. Joshua Schmidt officiating. Burial will follow at Russell Heights Cemetery in Jackson. Memorials may take the form of contributions to the Alzheimer’s Association.